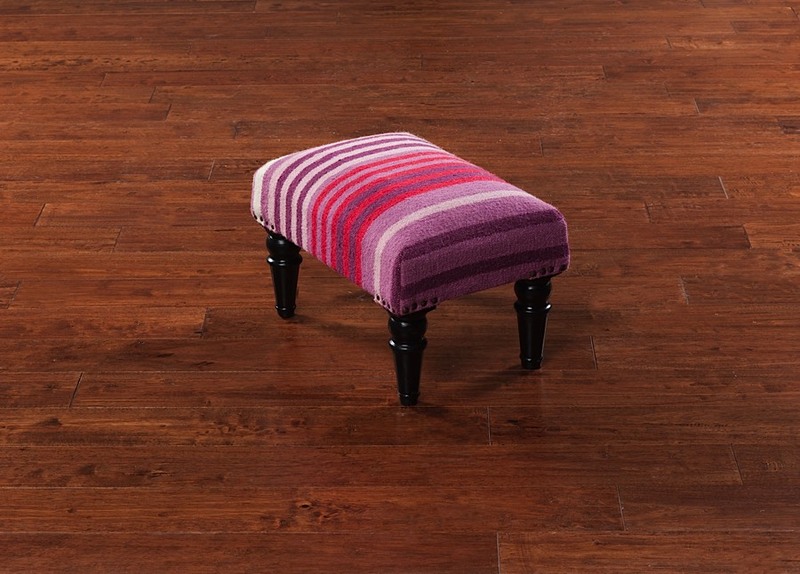 Soft and seductive curves, nail head trim, and bold styling make the Sharon Ottoman a favorite; coordinating with any interior ranging from traditional to modern. 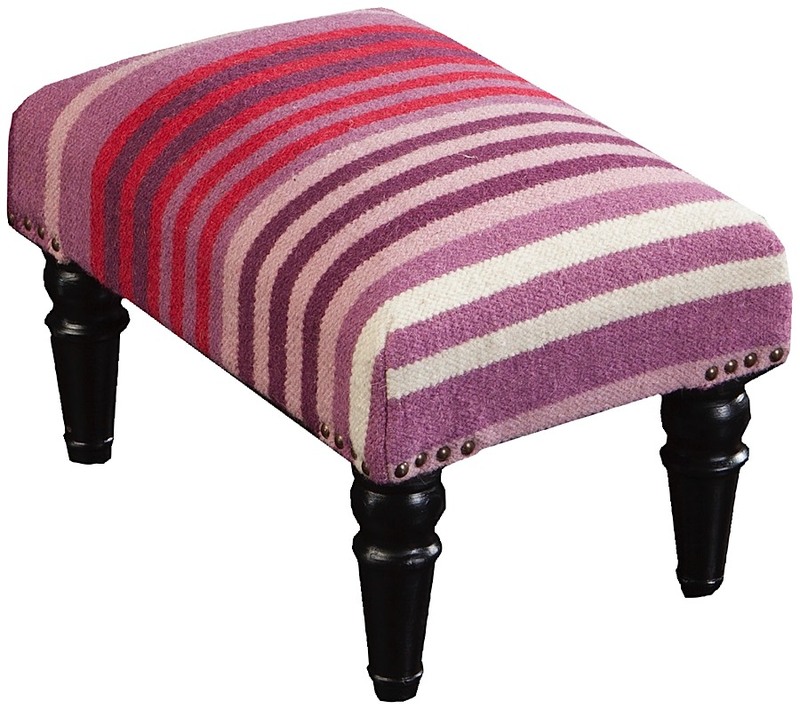 Wooden legs swoop to the floor under a smootly contoured cushion upholstered in 100% wool. 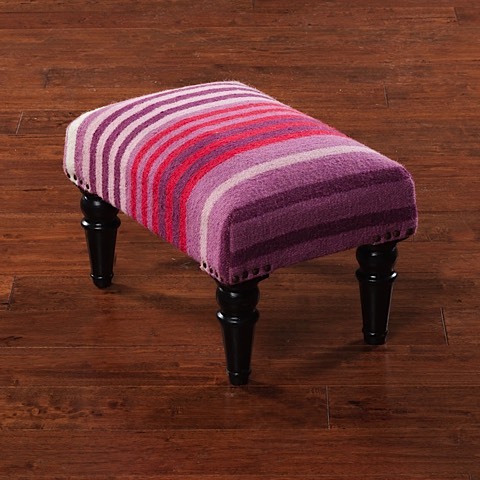 Perfect for use as an ottoman, stool, or just a decorative piece for the corner. Handwoven and handcrafted in India.